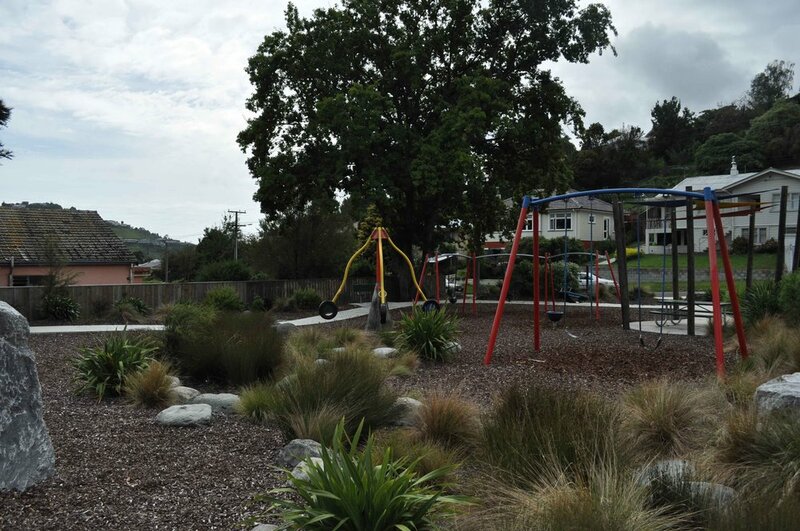 This project involved the upgrade of the existing playground and the creation of a new wheelchair friendly playground. The scope of works included the removal of existing equipment, installation of new equipment, re-contouring of land and the construction of pathways and timber climbing areas. This improved safety, accessibility, aesthetics, and the enjoyment of the area. 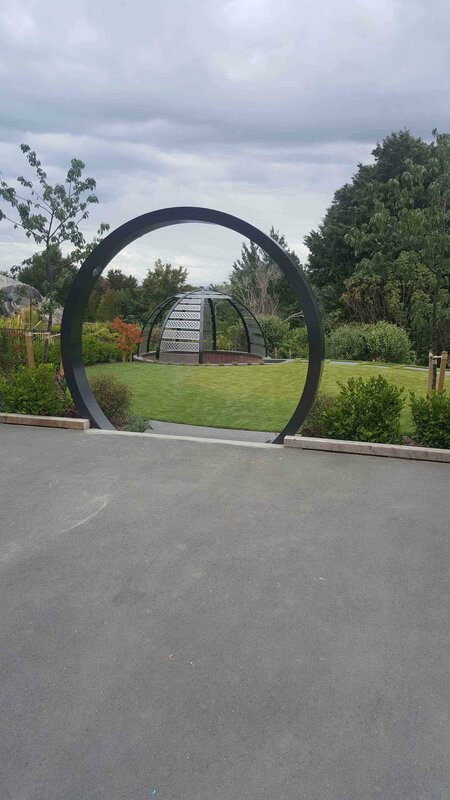 Firstly, the existing playground equipment was removed, then the new equipment was installed, old tree trunks were craned into the site and bolted together to create climbing areas and the land sculptured and a pathway was installed to make the area wheelchair friendly. The surrounding area was then landscaped including bark mulch for the playground surface and planting to soften the playground area. 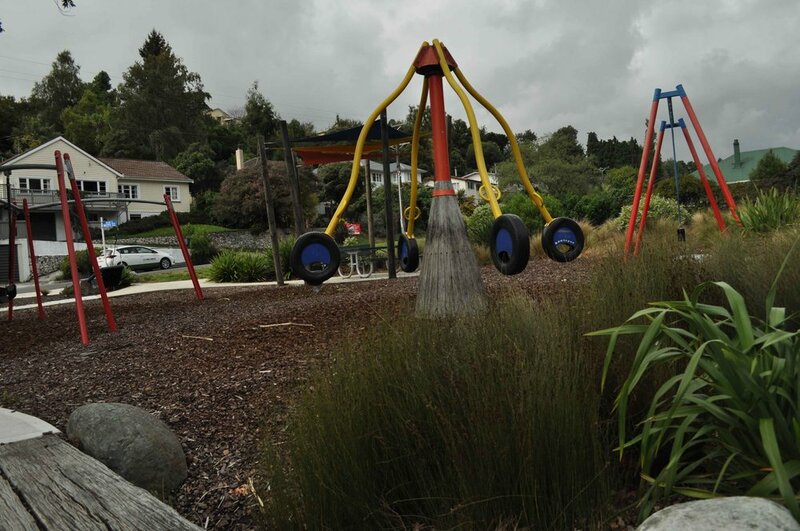 The upgrade of this playground involved demolition, removal, construction and landscaping works to improve safety, playground aesthetics and enjoyment. Firstly, the old existing pathways were removed to make way for preparation of ground placements and boxing for framework. A new concrete path was then installed, framing the playground area. The old playground equipment was removed and new equipment installed. 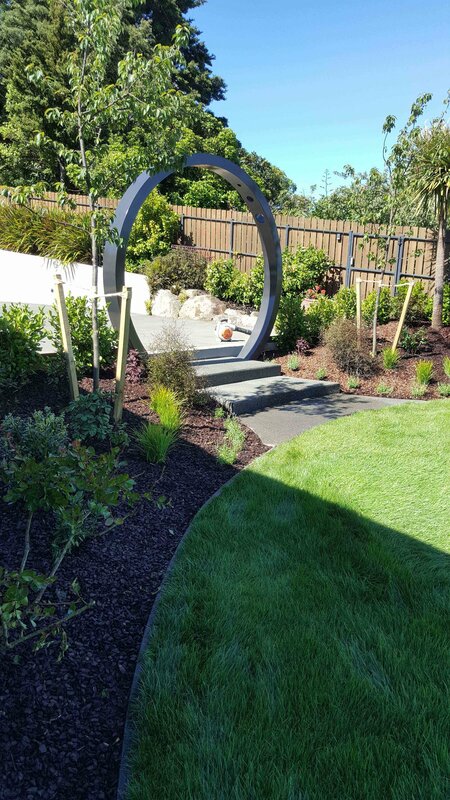 The surrounding areas were landscaped, including mulch bark for playground surfacing and planting in and around the playground area. 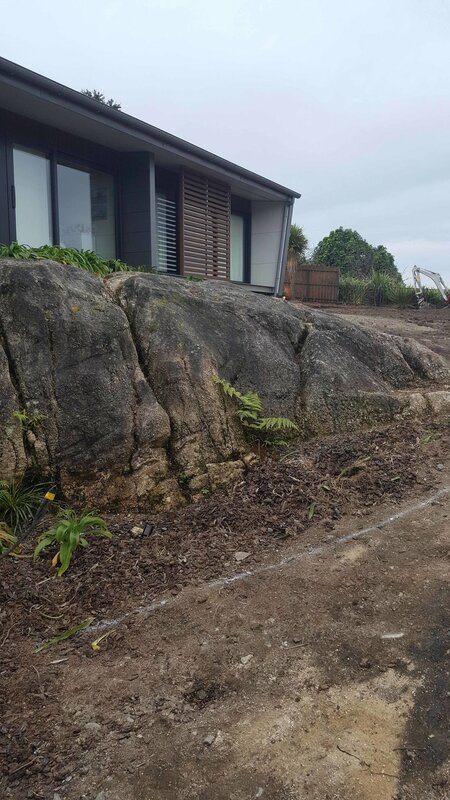 Concept development and landscape work on an existing sloping garden that required a new retaining wall to level the section. The scope included providing access to the garden from the house, which did not exist due to extensive plantings with no pathway through them. 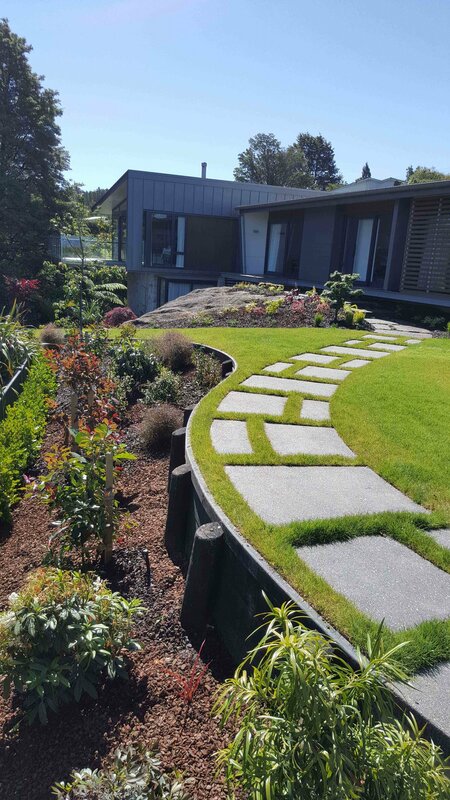 From a Nelmac design, the landscaping team extended the deck off the house, giving access to the garden, created a pathway, levelled the garden, creating a lawn for children to play on, and created a sunken patio area to give better outdoor living. 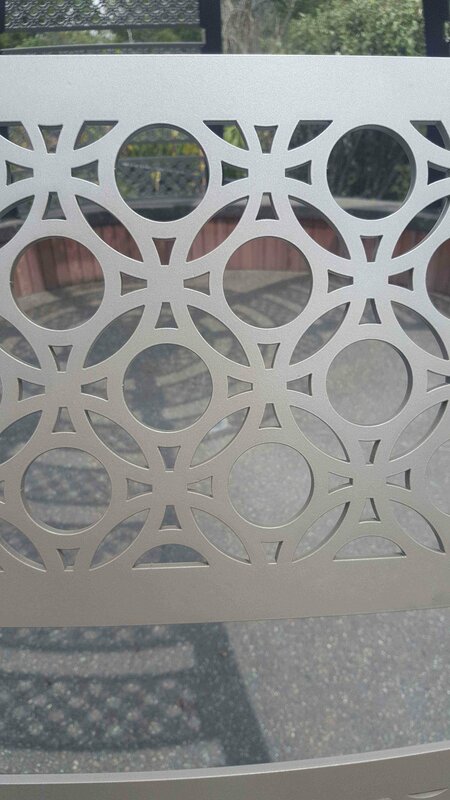 The final design had a ‘wow’ factor to match the home. 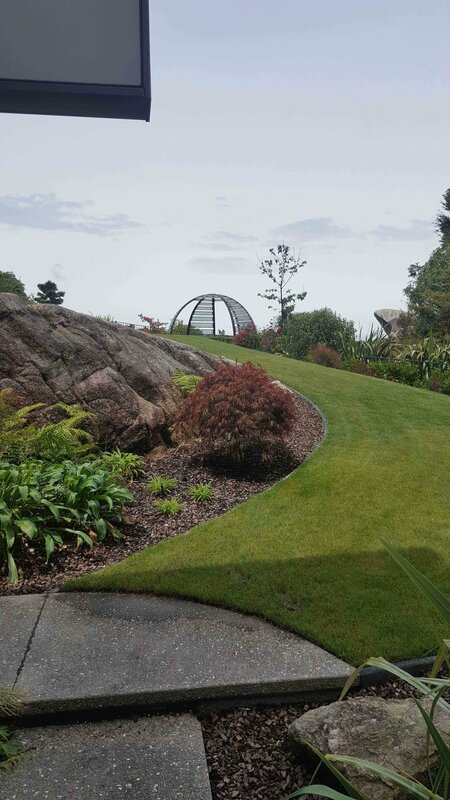 A particular challenge on this project was to create a one-of-a-kind steel circular archway and dome pergola over the sunken patio. 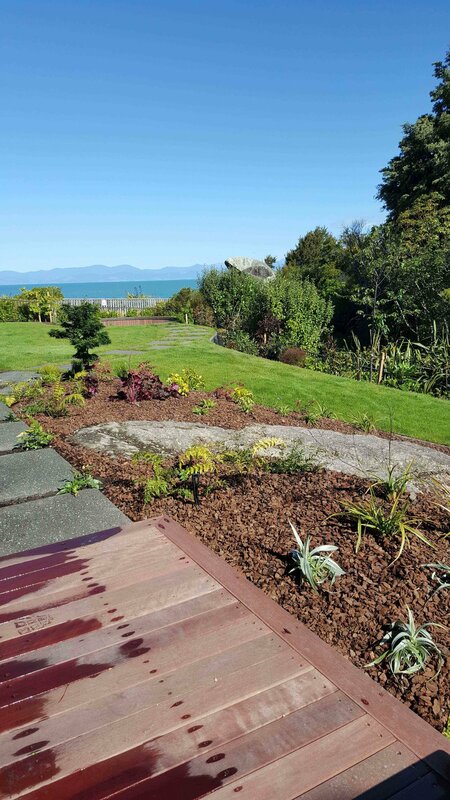 The homeowners of a new build property sought a plan to fully landscape the surrounding garden, which was challenging as the property was at a higher elevation than the neighbouring property. 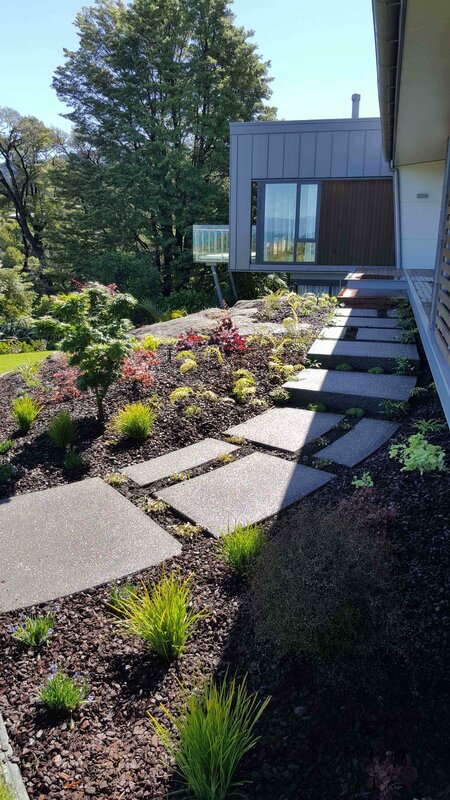 To provide a solution that met the privacy needs of both property owners, the comprehensive exterior landscaping plan Nelmac designed included raising the retaining wall and fence between them. 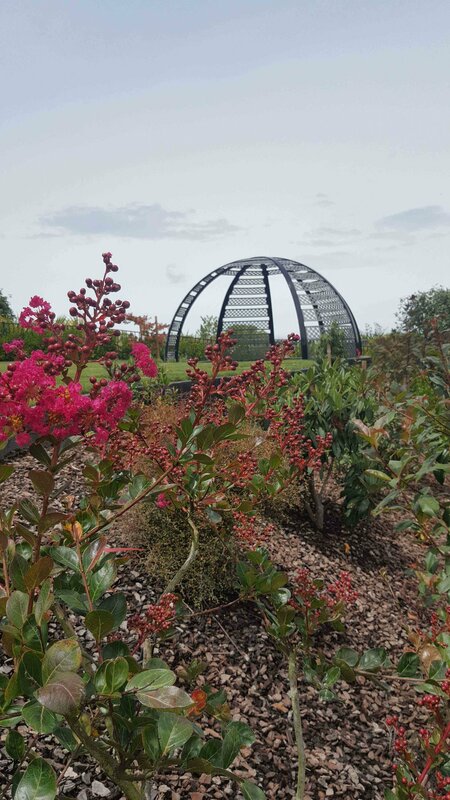 Nelmac's team was fully involved in implementing the plan, undertaking full construction, finishing and soft landscaping works.